Are you looking for a fun and flexible workplace, with a fast growing company? Would you like to be part of a great team? Circle Kennel is looking for a part time groomer with minimum 1 year of dog grooming experience or completed schooling. Pay based on experience. As company continues to grow, and we move into our newly constructed facility, position will become fulltime. Stylist must be patient and love working with animals. Do you pay attention to detail and take great pride in their work. If this sounds like you, we want you to join our team and become part of our Circle Kennel family. Do you thrive in a high energy, fast paced environment? Are you comfortable working around all breeds of dogs, and their various personalities? Are you a detail oriented person and able to follow procedure? Do you take pride in your work and have the ability to stay focused? This is the job for you! We are looking for someone that can follow direction, work independent or as part of a team. Must love animals, be prompt and dependable, while maintaining a positive attitude. Minimum of 1 year working experience with dogs or schooling required. Please submit resume’ to circlekennelclub@yahoo.com or stop in and fill out application. 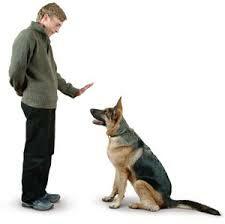 Dog Trainer: Looking for experienced dog trainer. Must be able to put together a curriculum for both group and individual classes. If you are interested in any of the positions above, please email your resume' to circlekennelclub@yahoo.com. Thank you.